Could the delay of Future Soldier to sometime between March 2011 and April 2012 have something to do with Kinect support coming to the high-tech tactical shooter? Given the "better with Kinect sensor" branding on the game's box art, it sounds like this is optional or complementary, Kinect-based gameplay—think headtracking, voice commands, squad control with your hands—or a hint of a Kinect-only mode. 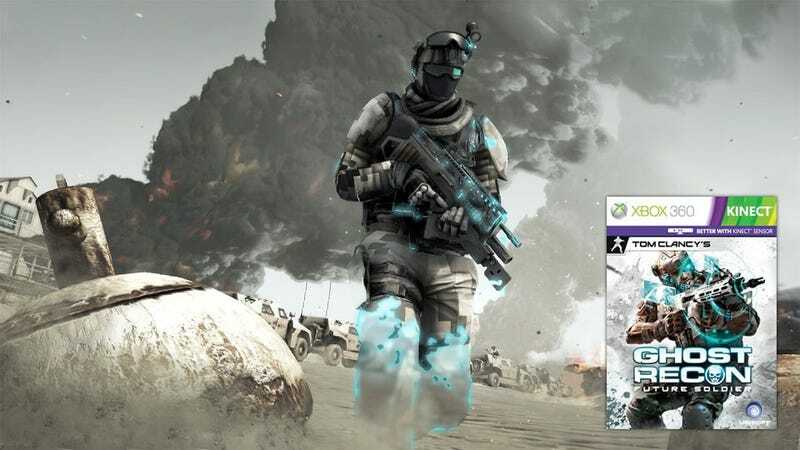 Ghost Recon: Future Soldier doesn't have a firm date, but it's looking like Kinect support is a real possibility. Perhaps we'll see it demoed onstage at either Microsoft or Ubisoft's E3 2011 press conferences, where we expect at least one of those companies will have a big, big focus on Kinect.